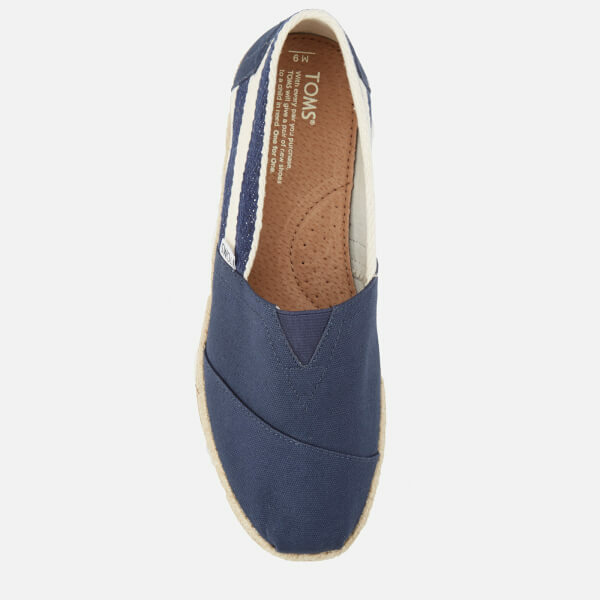 Navy slip-on pumps from LA label TOMS. 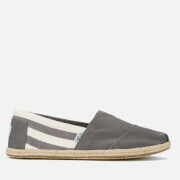 A member of the One for One® family, TOMS match every pair purchased with a pair of shoes for disadvantaged children. 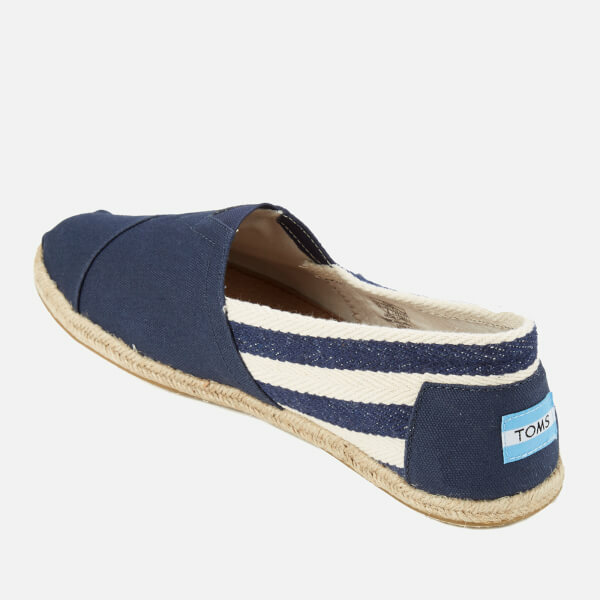 Crafted from soft canvas, the ‘University Classics’ pumps comprise a rounded toe with TOMS signature toe-stitch and a tonal, elasticated ‘V’ panel for easy on and off. 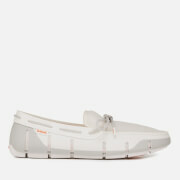 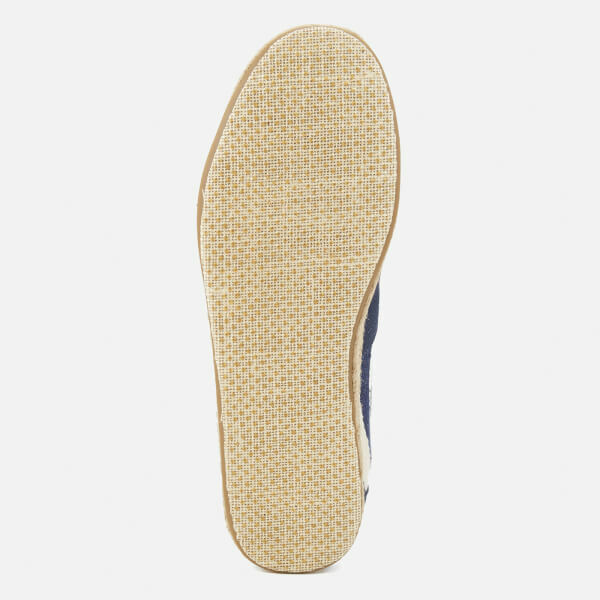 The shoes feature a classic suede insole, which offers cushion comfort and a latex arch insert for added foot support. 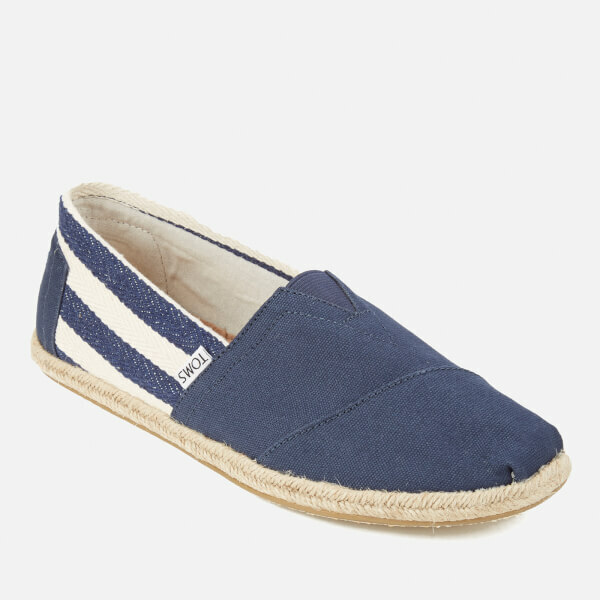 Placed upon a rubber sole for flexibility and durability, boasting an espadrille-inspired jute rope trim. 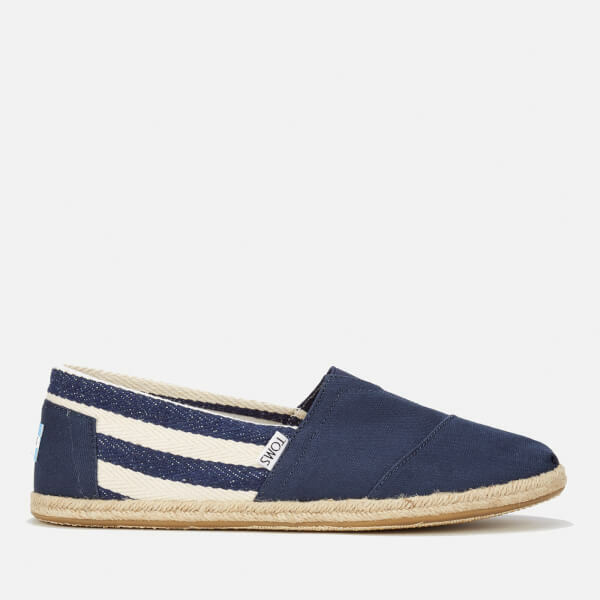 The classic pumps are complete with a stripe design to the rear, the iconic woven TOMS label stitched to the side seam and the TOMS logo appliquéd to the heel.